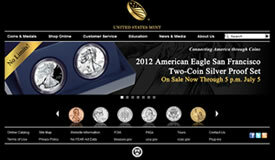 The 2008 First Spouse gold coins and bronze medal honoring Elizabeth Monroe are now on sale by the United States Mint. The Monroe gold coins are the first for 2008 and fifth in the First Spouse Gold Coin Series – a series that started off blazing hot. The first three spousal coins were on fire and sold out within hours of their release. Secondary markets through eBay and the likes could not hold enough of the coins and their resell values were through the roof. The market for spousal coins started teetering before the Dolley Madison gold coins were released. 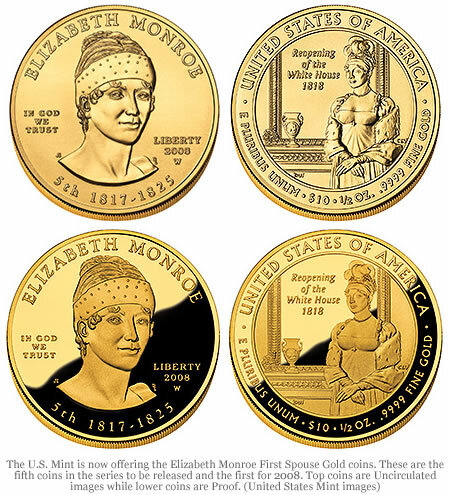 The Elizabeth Monroe coins are attractive collector coins and it will be interesting to see how, if at all, the market for the series will change with their release. As of late, volatile gold prices throws in an extra air of unpredictability. 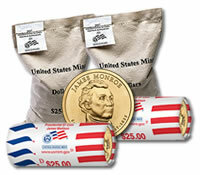 The United States Mint 2008 Oklahoma Official First Day Covers went on sale Wednesday, February 27. These limited edition covers include two Oklahoma state quarters with the “Scissortail Flycatcher” design that were minted on the first day of production. One quarter is from the Mint’s Denver facility while the other is from its Philadelphia location. 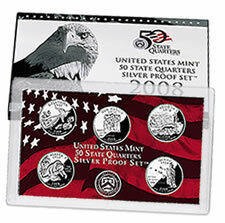 2008 State Quarter Silver Proof Sets are now on sale by the United States Mint with each priced at $25.95. The non silver version of the state quarter proof sets went on sale back in January and are available for $13.95. Hawaii – “King Kamehameha I." James Monroe Presidential Dollars were ceremoniously launched yesterday at Ash Lawn-Highland, the estate of the President Monroe. Today at 12:00 noon (ET), Bags and Rolls of new $1 coins went on sale through the United States Mint and the dollar coins officially entered circulation through banks. Finding presidential $1 coins in circulation or in banks has proven to be a difficult task in many areas of the U.S. and, although a premium is paid, many coin collectors purchase the coins directly from the United States Mint.